I'm looking to practice up and need people to play with! Which reminds me that I was going to add links to peoples Steam in the first post of the Season thread. My sig links to my Steam profile, and anyone here can feel free to add me. Turns out the cars are different. Speed, boost and accel are the same, but turning circle, power slide and hitboxes are different. Wow thanks for that Matty, I had no idea! Time to swap to hotshot. Good stuff! It's damn good fun! Hit me up for a game anytime that you see me online. Matty wrote: Turns out the cars are different. Interesting! I knew about the hitboxes, but I was unaware of the rest. No wonder I feel a bit strange for awhile when I switch cars. Had a bit of a play yesterday. Cant get the hang of ball cam. I can see the advantages of it but I just cant do it. I got gifted this. Played it all weekend. Love it to bits. I am permanently on ball cam lol. I really am not that good at the game, but having a tonne of fun. Most of us are up for games fairly often. Before I got this game, I was having a great time playing through Deus Ex: Human Revolution. 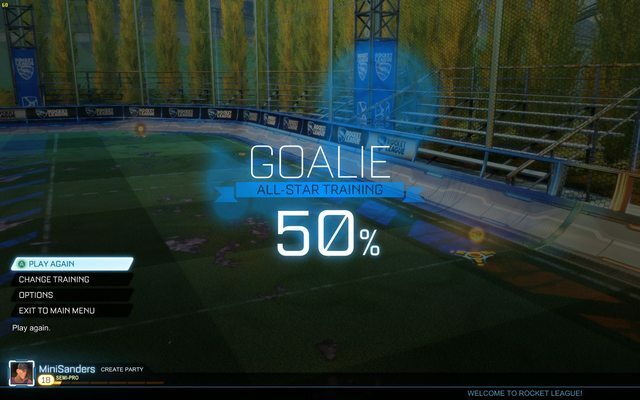 Since I started playing Rocket League, all other games have been left untouched. The thing I like is that it's low commitment - as in, I can have just as much fun playing for 20 minutes as I can playing for 2 hours because the matches are so short. EDIT: Hmm, it doesn't seem to jump to the time mark as it should. CherryRed wrote: The thing I like is that it's low commitment - as in, I can have just as much fun playing for 20 minutes as I can playing for 2 hours because the matches are so short. The low commitment thing is a big bonus for me. And this game is way more fun than that other low commitment time sink: Candy Crush Saga. It's gonna be a good match on Thursday. Matty wrote: It's gonna be a good match on Thursday. Had my first practice with storm84 last night and it went pretty smoothly for our first run. My good moments are always outweighed by my utterly stupid ones though, so anything could happen! It'll definitely be an interesting game anyway! I'm on now if anyone is keen. HAHA the time jump worked for me, it went straight to that goal you scored. That was so much fun, did some more tonight as well. Came across 2 guys that joined, their teamwork was insane. They killed us 9 - 1 and it was 2 v 4.. I got some learning to do lol.